A late second half stab at the ball snuck the Trojans past the Warhawks Friday under the lights of the Coleman Sports and Recreation Complex. The ULM loss came despite a strong second half performance and impressive goalie play from Brooklyn-Scoggins. “Scroggins had an unbelievable game for us. By far she is the best keeper in the conference,” Robert Mazza said. Little Rock came out firing in the first half ripping off 16 shots with eight of them on goal. But Scoggins was up to the task and kept the score at 0 despite the offensive onslaught. The Warhawks only registered two shots in the first period with none on goal. The Trojans held a 3-0 advantage in corner kick as well. After a sluggish start ULM picked up its intensity in the second. Midway through the period ULM saw its first real chance to break the 0-0 stalemate that had prevailed up to that point. After racing down the right side line senior Karlea Fehr blasted a shot towards goal that the keeper just managed to tip away. Senior Mariah Mitchell struck the ball off the tip which bounced off the goal posts. Late in the game in the 78 minute the Trojans finally found the mark. Scoggins made a diving save but Shannon Shields of Little Rock struck it in off the rebound. The lone goal proved the game winner. Coach Robert Mazza felt his team played hard and just needs an opportunity to go their way. “As soon as we get a bounce our way we will be hard to beat. Our heads are still up and we know we still have a chance of making the conference tournament,” Mazza said. 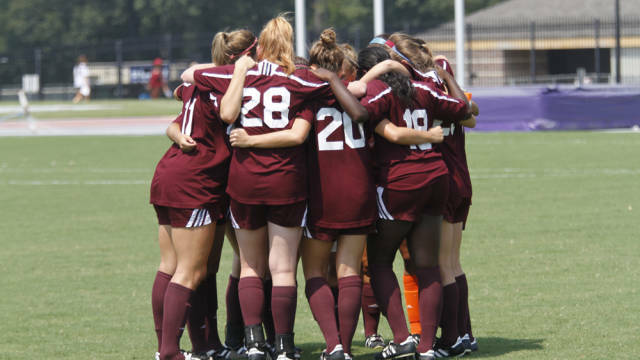 The Warhawks will be at home in the ULM Soccer Complex Friday as they take on Appalachian State.